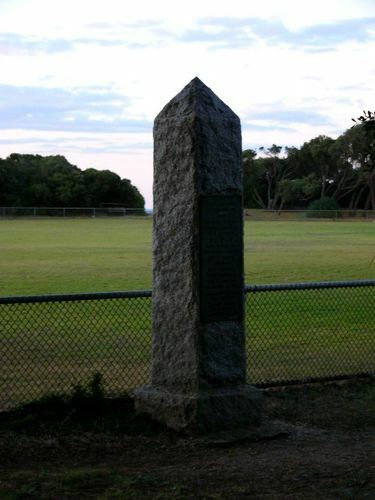 Cairn marking the site from where the first overseas wireless transmission from Australia was sent by Lord Northcote, the Governor-General, to the Governor of Tasmania. A re-enactment of the event was held in 2006. In July 1906, Queenscliff was the scene of a technological sensation when the first official wireless message was sent 215 miles across the sea to Tasmania. Professor David de Kretser A.C.